My Favorite Things-Inspiration and Dinner Ideas - Chocolate Chocolate and More! There are so many things I find across the vast world wide web that I love. Things I want to share with you, that don’t really fit into a recipe post. Here is where I get to share those things. Recipes I’ve tried (or am planning to try,) quick tips for making life easier, products I can’t live without, maybe a photo (or 2) of my dogs and kids. I’ve always said, I love to bake, but I hate to cook. Probably because weeknight dinners are a chore for me. The kids have after school activities, homework, I’m usually picking up a child right at dinnertime from somewhere. 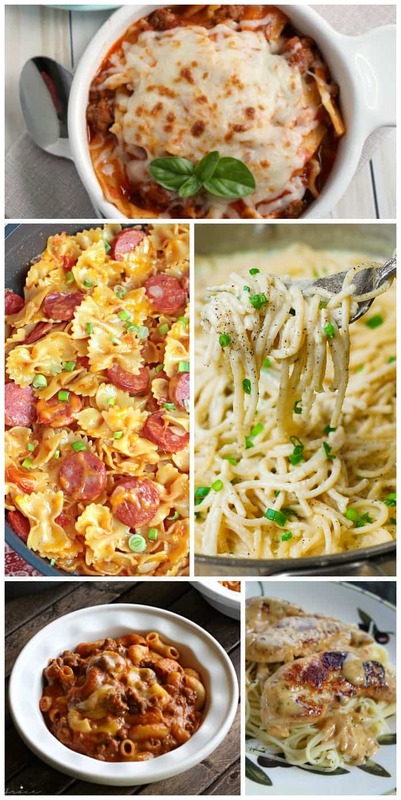 I created a Dinner Ideas Pinterest Board a while back, to at least make sure I had some easy, go-to dinner ideas that I know my family will like. Here are some of my favorites from that board. 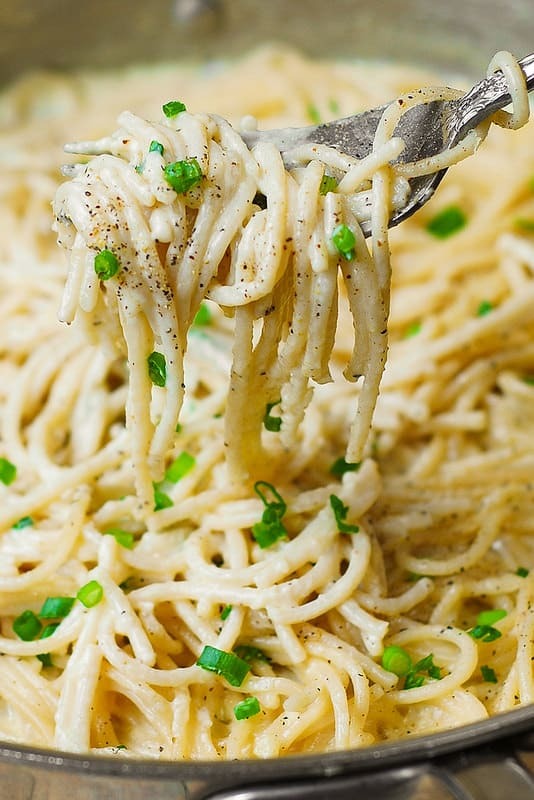 Creamy Four Cheese Garlic Spaghetti from Julia’s Album takes just 35 minutes total for an easy weeknight meal the whole family will love! 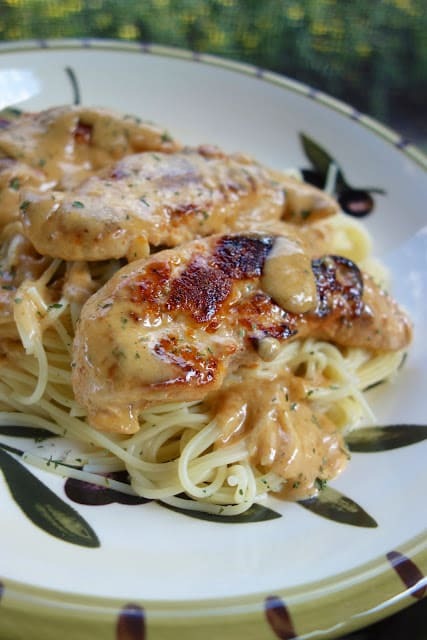 Chicken Lazone from Plain Chicken takes about 15 minutes to make, seared chicken tenders with a creamy sauce, perfect for serving with pasta or mashed potatoes! One Pot Kielbasa Pasta from Sugar Apron, my kids love smoked sausage and it’s so easy to just add it to a great pasta dish! 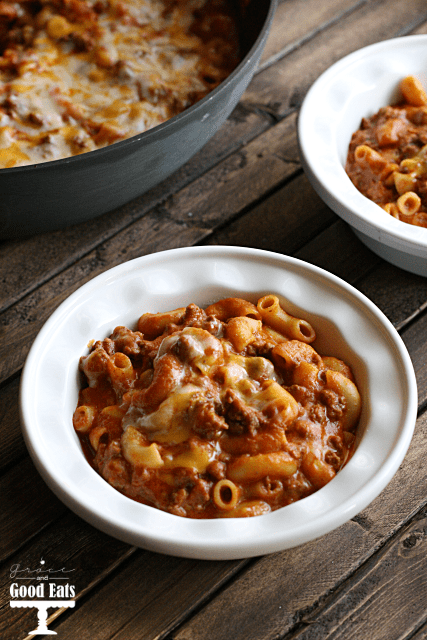 Southwest Chili Mac from Grace and Good Eats is hearty, great for a cold night and just a few simple ingredients! 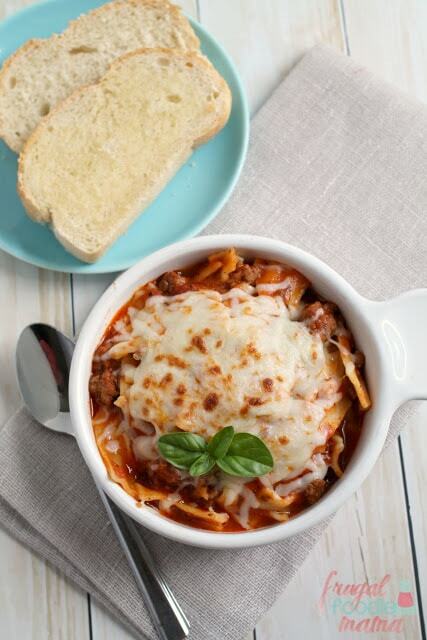 I’m not waiting for it to get cold to try this easy Weeknight Lasagna Soup from Frugal Foodie Mama, from start to finish, it’s on the table in just 30 minutes! At least I know what’s for dinner this week. What are some of your easy, go-to dinners? OMG!!! Don’t know what to say, this just made my day! 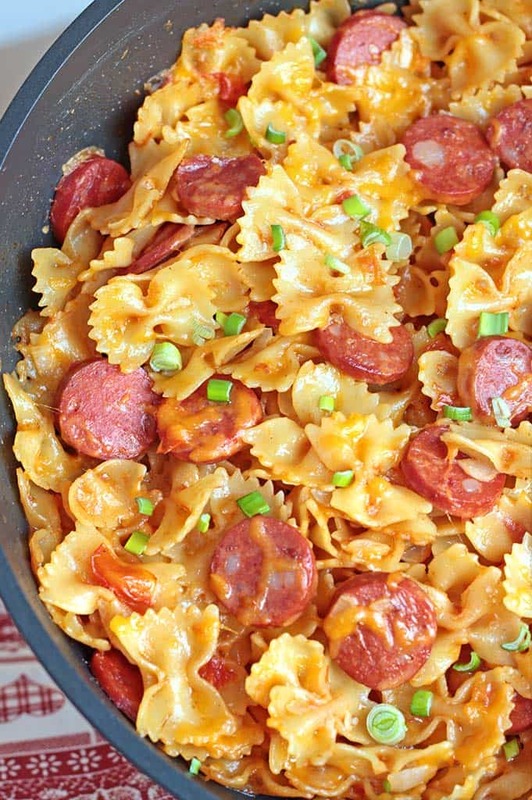 Thank you so much for featuring my One Pot Kielbasa Pasta! 🙂 I hope you are having a wonderful weekend! I love quick and easy dinners too! Thanks for the ideas! Thanks for the inspirational quote. Oddly enough. 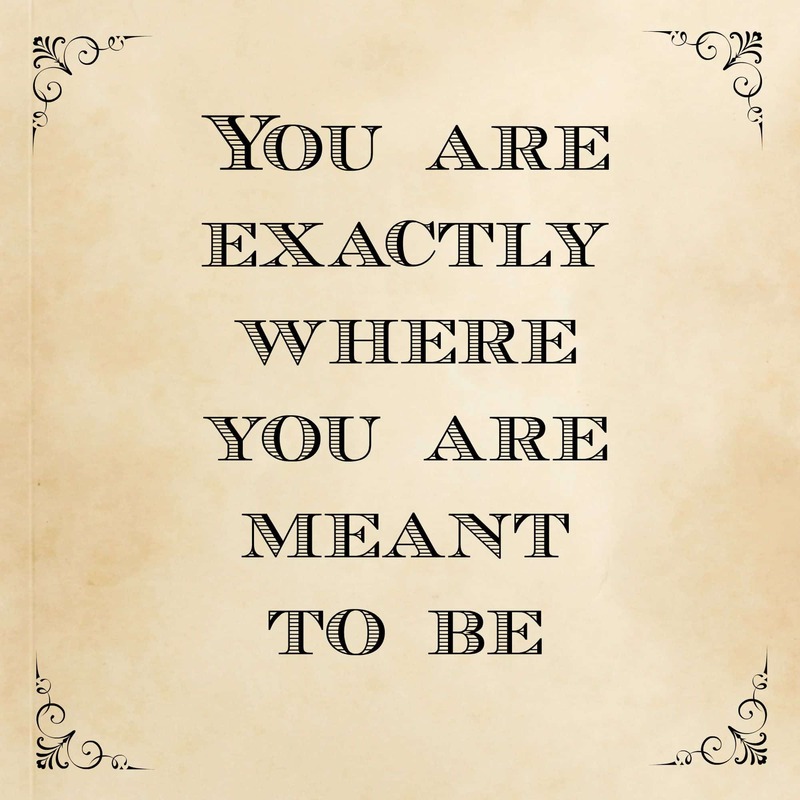 I feel like that’s exactly where I need to be. I feel like I’m at a standstill in my life right now just waiting. Waiting. Waiting. Wondering if something is going to happen. If not, I just want to know it and get on with my life. Thanks for the reminder that I’m exactly where I need to be and I just hope and pray that my little miracle comes true!